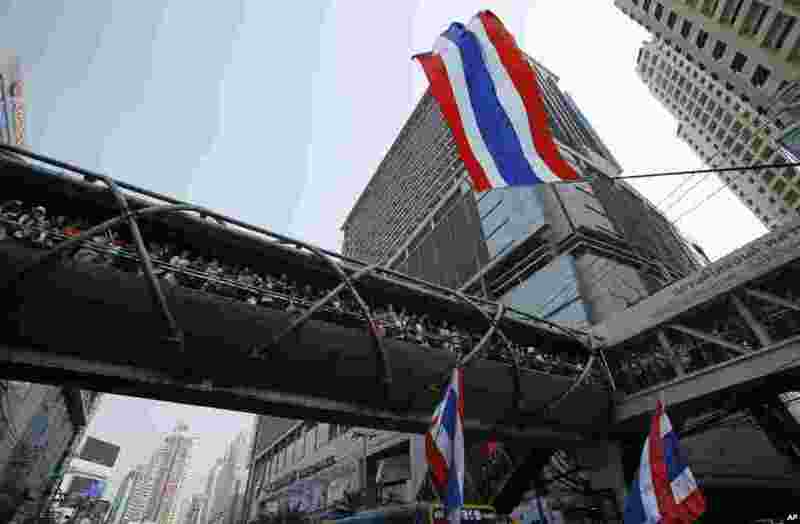 1 Hundreds of supporters wait for a glimpse of anti-government protest leader Suthep Thaugsuban during a march through central Bangkok, Thailand. 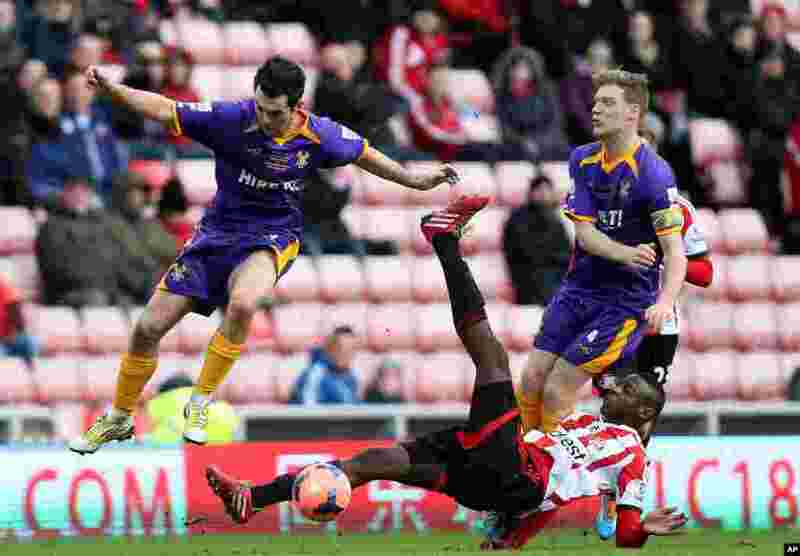 2 Sunderland's El-Hadji Ba, bottom, vies for the ball with Kidderminster Harriers' Jack Dyer, left, and captain Kyle Storer, right, during their English FA Cup fourth round soccer match at the Stadium of Light, Sunderland, England. 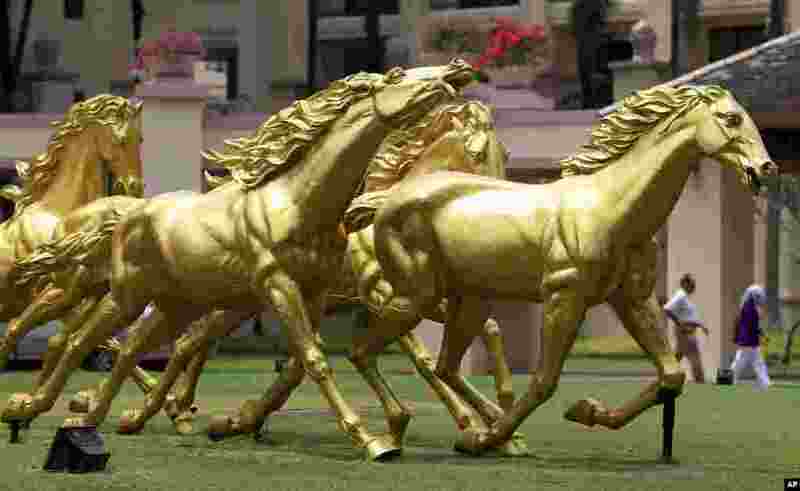 3 People walk past golden horse statues on display in front of a hotel in Kuala Lumpur, Malaysia. 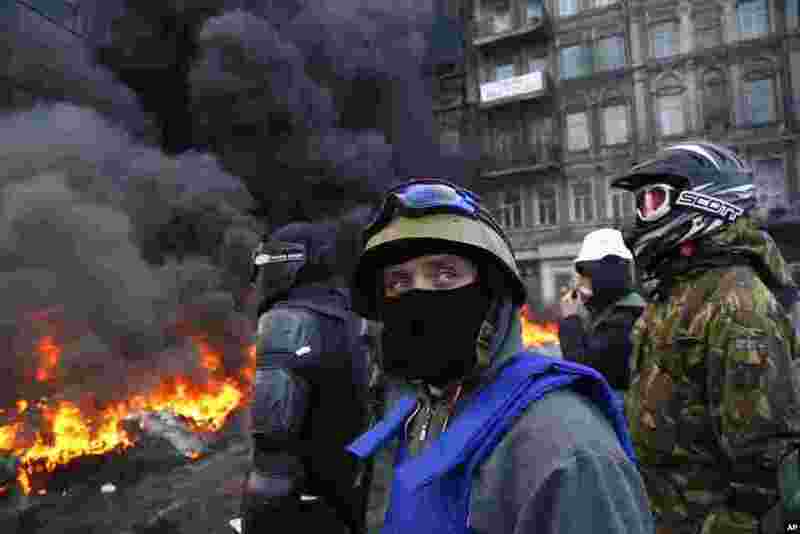 4 Protesters stand behind the barricade in front of riot police in central Kiev, Ukraine.